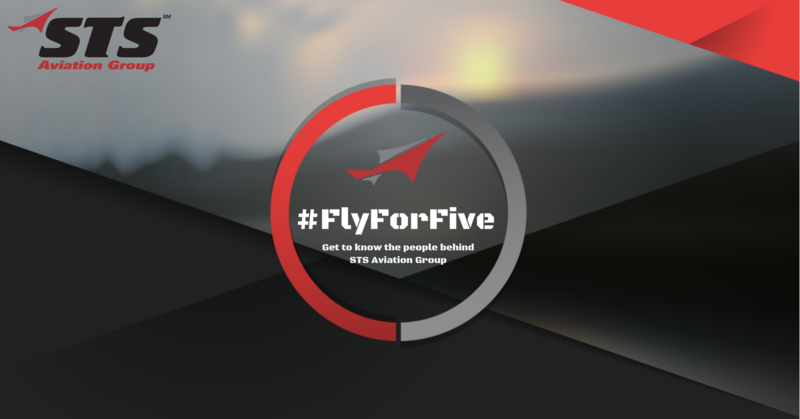 Get to Know Chuck Harrison in Our Latest "Fly For Five"
With that in mind, it is the people of STS Aviation Group and their stories that we will put on the forefront of a brand new campaign known as #FlyForFive. This article is the third in a series, and because of that, perhaps a little introduction is in order. In just five brief minutes once a month, you will be introduced to a new member of the STS Aviation Group family. We will ask each brave and willing participant five questions and share their unfiltered responses with you, our dear and loyal readers. OK — The time has now come for you to sit back, relax, grab a cup of coffee and settle in for a quick five. What’s to follow will not only be fun, it will also be a great way to get to know our Senior Vice President of Sales, Chuck Harrison. 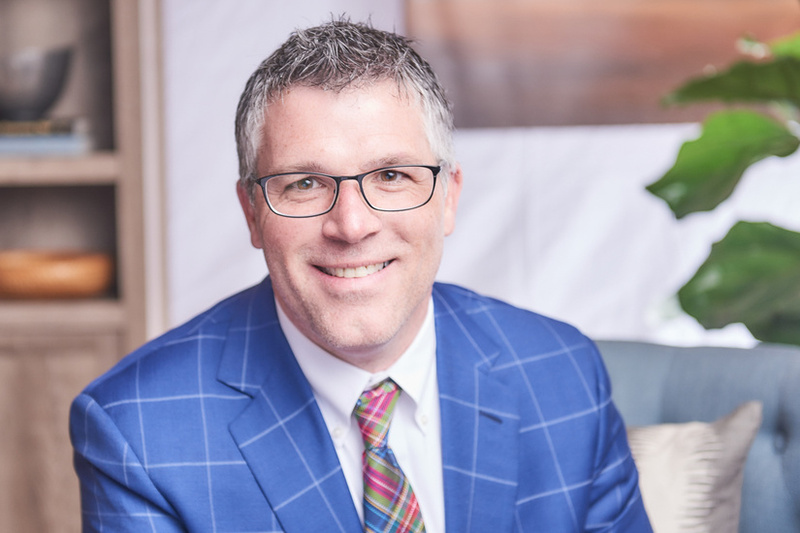 If you have any questions for Chuck, we just wrapped his LinkedIn profile around his name, so feel free to connect with him when you’re done reading this article. I have been leading STS’ sales organization for the past 7 or 8 years. My role is to keep our organization on the leading edge of providing professional talent acquisition solutions to our customers. The world of staffing has evolved so significantly in the past 20 years, and companies no longer want “temporary services” but rather a suite of options on how they manage the process of acquiring labor. It is my job to ensure we provide that suite of solutions and make our customers raving fans of STS. How did you end up in your position? Did you always want to work in the staffin industry? I fell into the world of staffing after a career change. I certainly didn’t grow up wanting to be a recruiter and I am fairly certain that is true for most of us in this industry. But after nearly a decade of recruiting, the recession of 2008 occurred and shook our industry to its core. I found myself with an opportunity to move into a sales position, at the height of the recession no less, when companies were not buying staffing, and it was a perfect fit for me. I took that job and never looked back. Passion. Leadership. Culture. Especially culture; each and every individual who works for this organization has an effect on culture. Think about that. We all contribute to making this company what it is. Our culture is outstanding, which means we have outstanding people who forge that identity. I truly enjoy everyone I work with. The aforementioned culture. Sales, recruiting, managing, all of it is a grind. It’s a marathon at times, and without your peers and the people you work with, it would be difficult to finish that marathon day in and out. Whenever we feel the effects of that grind, we usually have a few good laughs together and that makes it all worth it. I jumped into Recruiting after 10 years in Law Enforcement. Those 10 years shaped who I am today. I had no business experience whatsoever when I fell into recruiting, but I had a lot of experience reading people and assessing situations. And isn’t that what recruiting is really all about? Learning the business end took some time, but dealing with people and assessing their candidacy came very natural for me. I think it’s an important note for newer recruiters today to remember that the client pays the bills, so your job is to assess who you bring to them and ensure you have done your homework. At the end of the day, we are all recruiters in this business!